They’re all trying to put brave and smiling faces on their new government project, but the three other leaders of Prime Minister Erna Solberg’s newly expanded coalition still face serious problems within their own parties. There’s also a distinct lack of enthusiasm for Solberg’s project among the public, with polls showing that the coalition would not have been voted into power if there was an election today. Solberg dropped her planned participation in the World Economic Forum in Davos this week, along with several other meetings, to pull together her new ministerial line-up. It was expected to be presented on Tuesday, with speculation running high around who will represent the government’s newest member, the bitterly divided Christian Democrats, and what kind of power they’ll wield. Several political commentators have written since the expanded coalition’s platform was presented late last week that it’s not formed by four parties but rather “just three-and-a-half.” Nearly half the Christian Democrats’ board voted against joining Solberg’s government, preferring to cooperate with the opposition Labour and Center parties instead. The infighting continued through the weekend. Several top Christian Democrats reportedly have declared they don’t want to serve as ministers in the government. Others have said they don’t want deputy party leader Kjell Inge Ropstad, who helped negotiate the new platform, to take over as party leader after Knut Arild Hareide. They don’t think the conservative Ropstad will manage to re-unify the Christian Democrats. Newspaper Dagens Næringsliv (DN), meanwhile, reported over the weekend how Hareide fought hard for a reversal of the decision to join Solberg’s government, and wanted the Christian Democrats to vote down the new platform. Hareide had lost his bid last fall to side with Labour instead of Solberg’s Conservatives, and he resigned as party leader right after the new platform was introduced last week. Now he’s being called “a bad loser” for refusing to accept defeat and instead seem to undermine the winning side’s authority. Hareide himself has publicly declared defeat, but that didn’t play out in the back-room meetings on the platform last week. “Knut Arild fought until the last minute to say ‘no’ to the platform and not join the government,” one source told DN. “The result is an even more divided party.” Hareide reportedly was irritated that Ropstad’s negotiating team had kept him out of the negotiations on government policy. 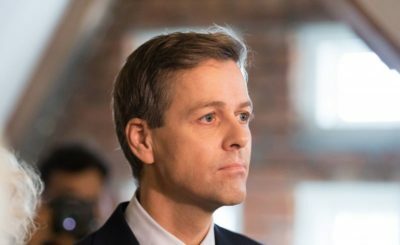 He also reportedly complained that Ropstad’s team “hadn’t delivered” on efforts to make significant changes in Norway’s abortion law, and broke the party’s promise against joining a government that includes the Progress Party. Some party officials equated Hareide’s last-minute objections to “a coup attempt,” even though Hareide himself “never wanted to change abortion law.” When he lost again last week, after a slim majority of board members voted in favour of the new platform, Hareide changed his tone again, speaking well of Ropstad and wishing both him and his fellow deputy party leader, Olaug Bollestad, well. 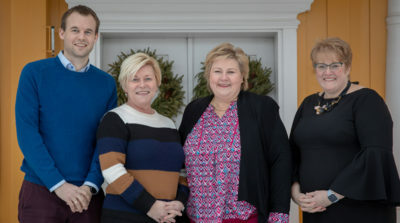 Bollestad will serve as acting leader of the Christian Democrats until the party’s next national convention next spring, and both Bollestad and Ropstad were expected to be named as ministers in Solberg’s government. Meanwhile, the Liberal Party is also deeply divided, with some party officials unhappy with the new platform, too, and demanding more high-profile ministerial posts that would give them a chance to carry out their policies. Grande’s party leadership has also been under fire. Environmental organizations are calling on both the Christian Democrats and Liberals to get much tougher and try to wrest control of the Oil and Energy Ministry away from the pro-oil Progress Party. That’s likely wishful thinking, but the two small parties managed to keep Solberg’s government from allowing oil and gas exploration off some of Northern Norway’s most scenic coastline. Frederic Hauge of Bellona said it’s “completely incomprehensible” that Progress can be so eager to hand out other new exploration licenses “when we know that Norway must restructure its economy away from oil,” in order to cut carbon emissions sufficiently to help halt climate change. All of the four parties now making up Solberg’s government have also been faring poorly in recent public opinion polls. Newspaper Dagsavisen pointed out that six out of 10 voters don’t want it, and the hype around the new coalition’s negotiations hasn’t stirred up more enthusiasm. There were no big celebrations when Solberg finally achieved her dream last week of forming a non-socialist majority government. The Liberals have fallen as low as 2.4 percent of the vote in research firm Opinion’s “party barometer” in January. The Christians Democrats are down at 3.7 percent, the Center Party is currently bigger than Progress. Even Solberg’s Conservatives have fallen from the 25 percent they won in 2017 to 22.9 percent now. The Socialist Left party (SV) has been climbing in the polls, meanwhile, and took in 350 new members just last week, according to news bureau NTB. There’s no question, though, that it’s likely to become more conservative, stress more “family values” and push for even more protectionism in the heavily subsidized agricultural industry. If the Christian Democrats gain control of the agriculture ministry, in line with speculation, they may chip away or even reverse some of the market liberalization policy championed by the Progress Party.